If you've just spent thousands on a new gaming PC or laptop then you better look away now as AORUS, that habitual bather of silicone in cheetah blood, has just announced its new X9 flagship machine - and honestly, it looks like a killer. 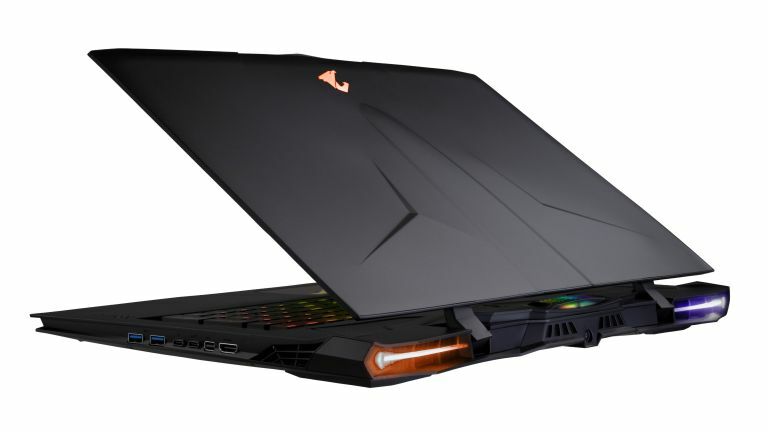 The AORUS X9 sports a number of world's first specs and features including an overclockable Intel Core i7-7820HK CPU, a brace of Nvidia GeForce GTX 1070 GPUs in SLI with a total of 16GB GDDR5 graphics memory, up to 64GB of DDR4 ram in quad slots, and a maximum of two 512GB M.2 SSDs and a single 2TB HDD combo for storage. Elsewhere, the AORUS X9 comes with maximum eye candy too, with a 4K IPS 100% RGB display (or 3K 120HZ) bolted into a exotic, premium chassis that also comes packing a true mechanical keyboard (that's mechanical brown switches people) and a next-generation cooling system, with 4 large fans, 8 heatpipes and a redesigned series of cooling vents that have taken cues from sports cars and fighter jets. Simply put, the AORUS X9 looks like an absolute monster of a gaming laptop and, from our brief time with the system so far (we recently got to go hands on here in T3 Towers) we can confirm that this machine appears to be a genuine step forward in the ultra competitive high-end gaming laptop market. We're going to have a full review of AORUS X9 ready in November, so be sure to check back in then for what are almost certainly going to be world-ending 3DMark scores. You can get more information about the AORUS X9 over at its official website.